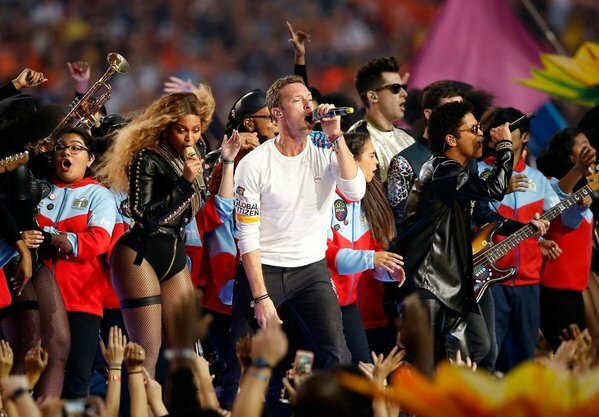 Chris Martin Loses Super Bowl Spotlight to Beyoncé & Bruno Mars. Photo via Twitter. My head is still spinning from Beyoncé and her Black Panthers homage at Super Bowl 50. Really, would there even have been a half-time show if Queen B and Bruno Mars failed to grab the spotlight? Thankfully, instead of Coldplay dullness, fans continue to focus on Beyoncé and her Rhythm Nation-like dancers flashing Black Power salutes and Black Panther-influenced berets as they perform her new single Formation with a clear shout out in support of #BlackLivesMatter. In a quick shout out for branded content, I’m also a fan of Janelle Monáe and her Joy of Pepsi prelude to the half-time show. Let’s shift away from Super Bowl 50 for moment, much to Martin’s relief. Opening reviews are positive for Wiz Khalifa’s sixth album Khalifa, featuring 808 Mafia, Ty Dolla $ign, Travis Scott and Juicy J collaborating on the single iSay. New singles this week include I Feel The Weight by Miike Snow and Don’t Let Me Down by The Chainsmokers. 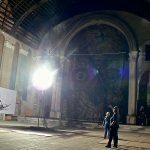 Finally, it’s never to early to start your festival mapping for 2016. Get started with the Coachella 2016 lineup. Oh, did we mention LCD Soundsystem will be taking the stage as festival headliner? Thought so.